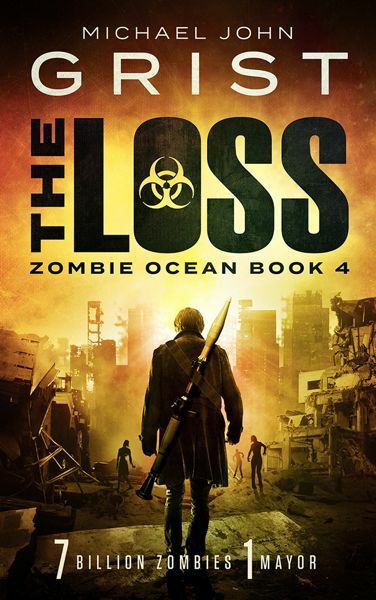 The Loss is Book 4 in the thrilling Zombie Ocean series. 7 billion zombies. 1 mayor. The zombie apocalypse like you’ve never seen it before, packed with gore, twists and severe moral hazard. Book 5 and 6 of the Zombie Ocean are also available now. I can’t seem to put your novel down. The Loss , the amazing choices amo had to face…. a zombie story that needs to be added to my collection! The first three books in this series was wonderful I couldn’t put them down the author kept me glued to the pages if you like survivalists type books these are for you. I give this book set 5***** l absolutely loved them. Kathy Nov 2016 What a new take on zombie books. Bought the box set. Loved it! If you like zombie stories you will love this one. Great story. Can not wait for next two. Thank You for fantastic read. I have found another INdie author that’s as good or dare I say better than most. Excellent storyline and what was really great, is the twist on the zombie plots. Totally enjoyed reading the series and recommend anyone to read it. Now I am getting the last two episodes and will read both until I finish this brilliant piece of work! Congratulations on a series well done! Looking forward to reading more of your work!